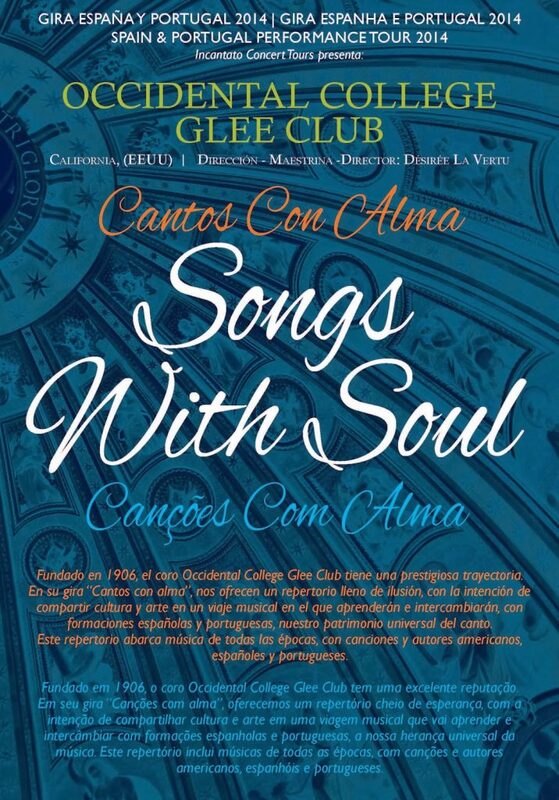 ‘Songs with Soul’ – ‘Cantos con Alma’ iN Spanish or ‘Canções Con Alma’ iN Portuguese – was the theme of the 2014 iNCANTATO CONCERT TOURS experience for the Occidental College Glee Club. 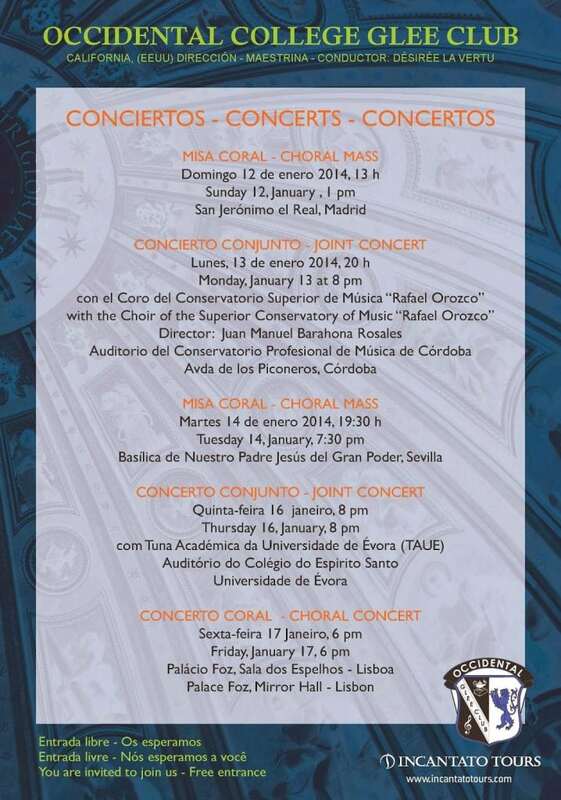 The choir traveled to Spain and Portugal visiting cities on the way such as Córdoba, Seville, Évora, and Lisbon. One of the main highlights of their tour was a special performance in the magnificent Palácio Foz in Lisbon and being the featured guest singers at mass at the Royal Monastery of San Jerónimo el Real Church, in Madrid. 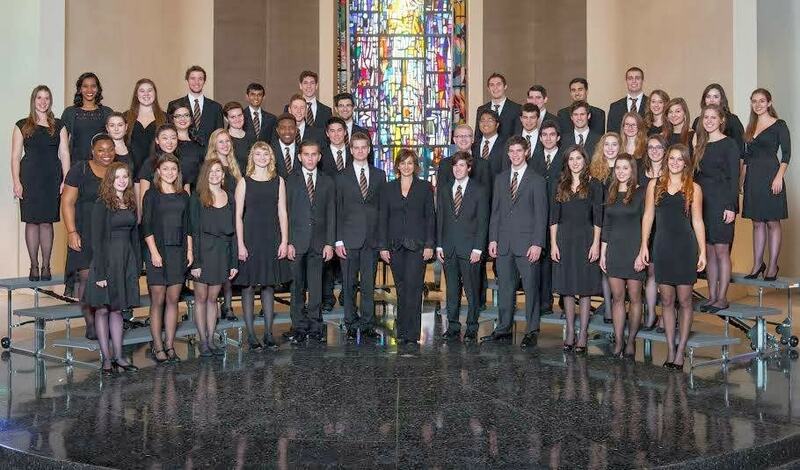 The Occidental College Glee Club toured Spain + Portugal iN 2014. Next:What is an iNSIDE EUROPE shadow tour?